actDEN/Digital Education Network - High-quality software tutorials and online courses for educators, parents and students of all ages. Adobe Certified Trainer Program (ACTP) - An Adobe Certified Training Provider (ACTP) is a training professional or organization that has met the ACTP program requirements. Adobe promotes ACTPs to customers who need training on Adobe software. Brainbench - Online certification exams and preparation courses. Cisco Systems - Training and certification programs. Computer Books Online - Computer certification books, computer repair books, computer how to books. 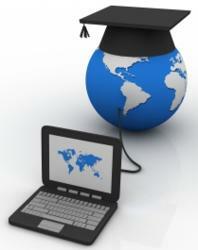 Computer Engineering Degree Programs - Find and compare computer engineering degree programs. Computer Training, Education and Tutorial Resources - Learn programming and how to develop and write computer programs and IT applications. Free information, references, and resources about computers. Faculty of Information Studies (FIS): Continuing Education - Offers a wide range of practical workshops for information professionals and others interested in information issues or in learning new information technologies. FreeSkills - This site currently hosts over 575 full online training courses. Courses range from introductions to Microsoft Word through Windows system admin to SQL Server programming. Hamilton Technologies - Traditionally a developer and publisher of self-study technical training materials and technical consulting organization, Hamilton Technologies has expanded its training options by developing comprehensive two-day courses in computer, telecommunications, communications and networking areas. IBM Training and Skills - Education offerings and certification programs designed to help IBM customers take full advantage of technology investments, improve business processes, and implement successful technology roll-outs. KnowledgeNet - E-learning provider and certification consultants offering Microsoft and Cisco certification. Learn It - A Microsoft Certified Solution Provider. Individual, classroom, corporate training on many Microsoft software applications. Microsoft Training and Certification - Microsoft offers industry-recognized credential and certification programs to prove your knowledge and proficiency with Microsoft products and technologies. New Horizons - The largest independent IT training company in the world. Instructor-led, computer-based, Web-based, and client-site training options. Desktop application and technical training courses on products from Microsoft, Novell, Sun, IBM, and Corel, among others. Novell Training - Novell training, certification support. Safari Books Online - Offers the most complete digital library worldwide for computer, technology, creative, and digital media professionals. SANS - Computer security training, certification and research. Sun Learning Services - Teaching all active Sun Java, Solaris, MySQL, software, server and storage courses. TechTutorials - Directory of free computer and networking tutorials for the IT professional. TekWorld - Computer training and information. Training Registry - A directory of training courses, trainers, training products, classroom and training facility rentals, business and consulting services, professional speakers, and books. uCertify - MCTIP, MCTS, MCSE, Java Certification, SCJP, SCJP certification, A+, Network+,OCP, OCA, CIW certification, CIW, MCSE Practice Test. Unitek Education - Providing IT training to corporate clients and certification training to IT career oriented individuals, one of a handful of IT training vendors in the United States that has achieved the dual status of Microsoft Gold Partner for Learning Solutions (Gold CPLS) and Cisco Learning Partner (CLP). Unitek Education is also a Network Appliance (NetApp) Authorized Learning Partner, a CompTIA Platinum Authorized Partner, and a Citrix Authorized Learning Center. Virtual Training Suite - A national initiative designed to teach Internet information skills to education communities in the UK. The training comprises a set of teach yourself tutorials, delivered over the Web, each of which offers Internet information skills training in a particular subject area. 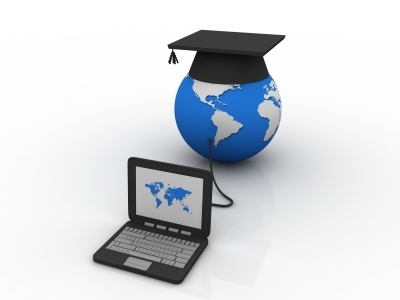 Virtual University Enterprises (VUE) - Microsoft, Novell, IBM, HyCurve, Lucent Technologies, Ericsson, Certified Internet Webmaster, CompTIA, Linux Professional Institute, Informix Software and other IT programs are available through VUE's network of more than 1,900 testing centers in over 110 countries. This webpage last updated on Saturday, August 13, 2016 9:10 AM.